In the competitive world of insurance customers have seemingly limitless access to tools that help them weigh up their options and make informed choices. Insurance marketing strategies must be focussed on impressing potential customers and beating the competition’s offers; while allowing the insurers profit margins. 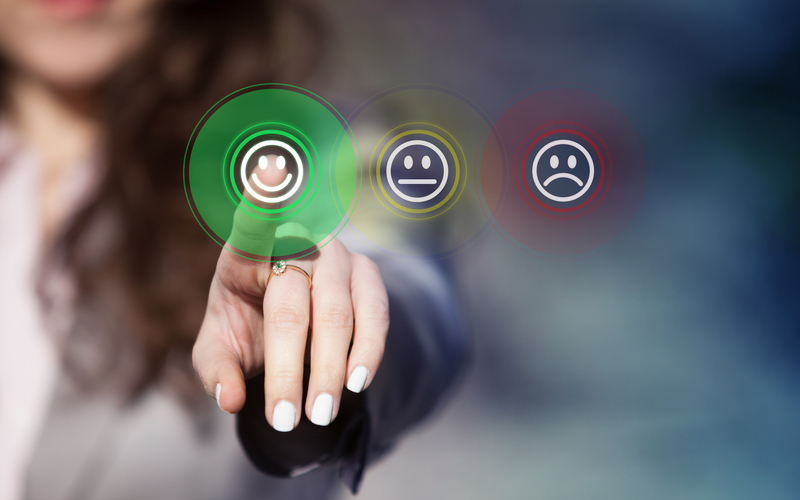 To help insurers understand what is likely to help them stand out on comparison sites, like Compare the Market, Money Supermarket and Confused.com, we have completed quantitative research into the opinions on the various factors that motivate people to sign up. The online research took place in July 2018 in the form of a survey to a sample of over 5,000 members of the UK public. We asked the question ‘Which of the following would motivate you to sign up for a life/vehicle/home/travel insurance company?’ and asked them to choose from a selection of motivations, including: ‘Free gift when you join’, ‘Payment plan options’ and ‘If a financial advisor recommended’. You may have read in our previous article on insurance marketing that the conclusion of our research was that the most universally popular motivation for people signing up for insurance was a ‘Free gift when you join’. However, there are plenty more promotional options you should consider in your insurance marketing strategies. In this article we will examine the how the motivations differ for the 4 most common types of insurance. 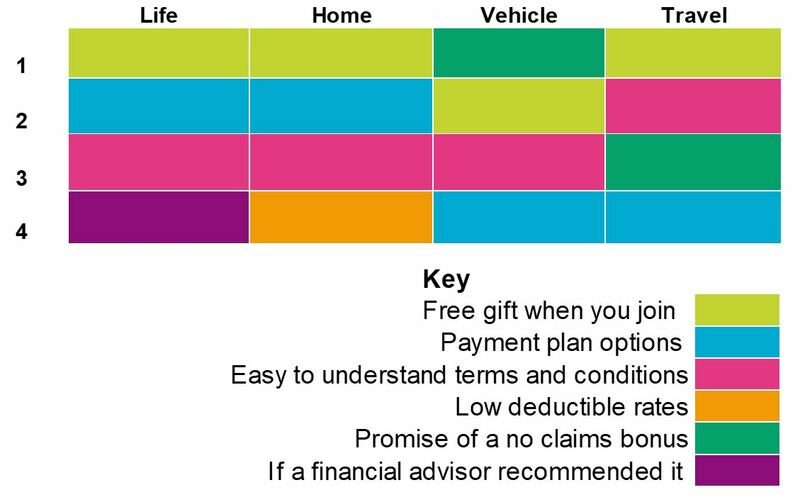 The table below shows how the top 4 motivations for signing up change across different insurance types. As the most universally motivating factor, using a free gift to promote your services is great for get noticed and increasing response rates. However, figuring out a cost-effective giveaway that will help you standout can be tricky. Giving your customers a selection of gifts to choose from is a good way to start, but many insurance companies choose to carry out research into their existing and potential customers. Please get in touch if you want to learn more about this type of quantitative research. Competitive pricing is always going to be an important part of insurance marketing strategies. However, our online research showed that a payment plan is also a highly motivating factor – ranking 2nd for Life and Home insurance and 4th for Vehicle and Travel. These marketing insights show that people would be interested in more flexible payment options, which suggests that if you can’t reduce the price of insurance to undercut the competition, then a payment plan could be a good addition to your offer. The no claims bonus is highly motivating for Vehicle and Travel insurance signups, ranking 1st for Vehicle and 3rd for Travel, but doesn’t rank highly for Home or Life insurance. With this in mind it would make sense for Vehicle and Travel insurance marketers to highlight this in their marketing and, of course, make sure that this is prominent on all comparison websites they feature on. This is only the tip of the iceberg for the market research insights we have to inform insurance marketing strategies. To learn more about campaign development, concept testing and our method for increasing response rates please take a look at the on-demand recording of our Insurance Marketing webinar presentation: ‘Insurance Marketing – Powerful Industry Insights’. This article was written by Declan Spinks, Marketing Executive at fastmap. To find out more about our services, and how we can help with your campaign development, marketing strategies and increasing response rates, visit www.fastmap.com or get in touch with David Cole, Managing Director, fastmap on +44 (0) 20 7242 0702 or david.cole@fastmap.com.